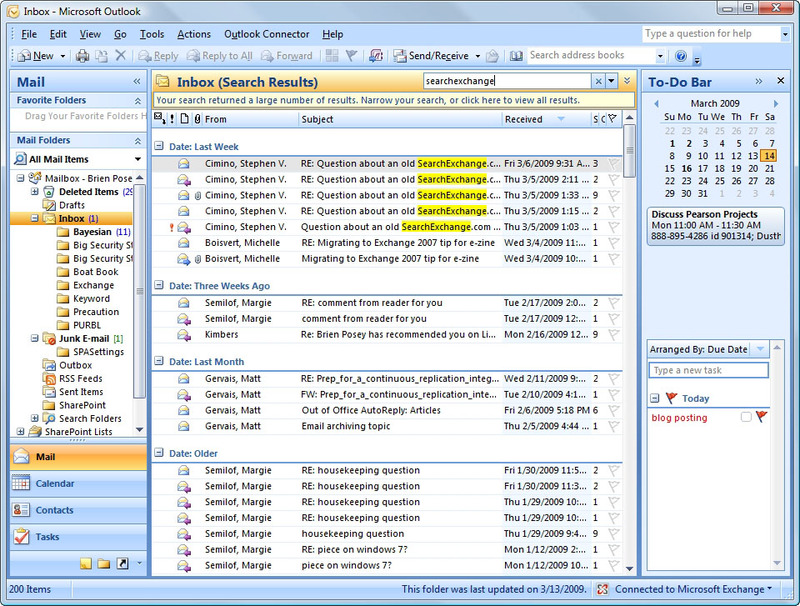 The Windows Desktop Search feature in Microsoft Outlook 2007 offers improved search capabilities. Get details on the Windows Desktop Search feature, how it works in various versions of Windows and some of its benefits, including improved indexing for email and delegate mailboxes. Although it's not immediately apparent from the user interface, Microsoft improved Outlook 2007's search capabilities. In this article from Exchange Server expert Brien Posey, you'll learn about Windows Desktop Search and some benefits of Outlook 2007's search capabilities. Microsoft Outlook 2007 uses Windows Desktop Search, an internal indexer and search engine that's built into Windows Vista. But how does the Outlook 2007 search feature work if Outlook is installed on Windows XP SP2 or higher? Windows XP doesn't include the required version of Windows Desktop Search, but you can download it. Windows Desktop Search version 4.0 performs better and is more stable than the version that is included with Vista. It also offers improved indexing of online email; however, Microsoft recommends running Outlook in cached mode. Windows Desktop Search 4.0 can also index delegate mailboxes. Some other improvements include the ability to index encrypted files and the ability to perform queries against remote file systems. What are the benefits of Outlook using a search engine that's part of the Windows OS, rather than Outlook's internal search engine? The main advantage is that Windows Desktop Search can retrieve results from several locations. Windows Desktop Search can be difficult to locate. When Microsoft released Windows Vista SP1, they removed the Search command from the Start menu. Many people wrongly assumed that Windows Desktop Search was removed from the OS. But you can still access it by holding down the Windows key on your keyboard and pressing F.
When Windows Search opens, enter a search phrase and it will pull search results from a variety of indexed locations. For example, I entered the phrase "SearchExchange" into Windows Desktop Search. 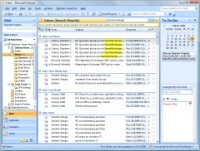 Figure 1 shows that the search results include email messages, attachments within email messages and Outlook calendar entries. However, these results aren't Outlook specific. They also include individual hard drive files, which don't appear in the screen capture. Figure 1. 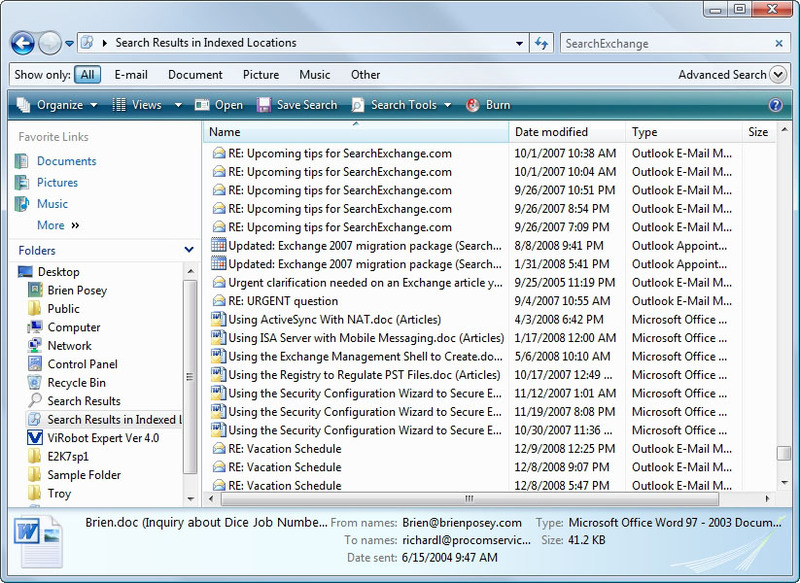 The Windows Desktop Search results contain entries from the file system and Microsoft Outlook 2007. Although Windows Desktop Search can display email messages within the search results, you don't have to rely on the interface shown in Figure 1. You can also perform queries within Outlook 2007. Outlook's search interface uses word wheeling, which means that, as you type each letter, Outlook shows you all messages containing text strings matching those letters. If your search phrase appears within an email message's subject line, Outlook will highlight the search string for you (Figure 2). Figure 2. Microsoft Outlook highlights occurrences of your search string within the subject line of email messages. Although Microsoft Outlook 2007 is the only version of Outlook to use Windows Desktop Search by default, it's not the only version that can benefit from it. Windows Desktop Search supports older versions of Outlook, including Outlook 2002 (from Microsoft Office XP and Outlook 2003. However, if you are running Outlook 2002 , it must be running in either corporate or workgroup Mode. Outlook 2003 and Outlook 2007 are more flexible; however, Microsoft also recommends running them in cached mode. About the author: Brien M. Posey, MCSE, is a five-time recipient of Microsoft's Most Valuable Professional (MVP) award for his work with Exchange Server, Windows Server, Internet Information Services (IIS), and File Systems and Storage. Brien has served as CIO for a nationwide chain of hospitals and was once responsible for the Department of Information Management at Fort Knox. As a freelance technical writer, Brien has written for Microsoft, TechTarget, CNET, ZDNet, MSD2D, Relevant Technologies and other technology companies. You can visit Brien's personal website at www.brienposey.com. Please let others know how useful this tip was via the rating scale below. Do you know a helpful Exchange Server, Microsoft Outlook or SharePoint tip, timesaver or workaround? Email the editors to talk about writing for SearchExchange.com.